Please bear with me while I try to think of a good way to pose with my head attached. 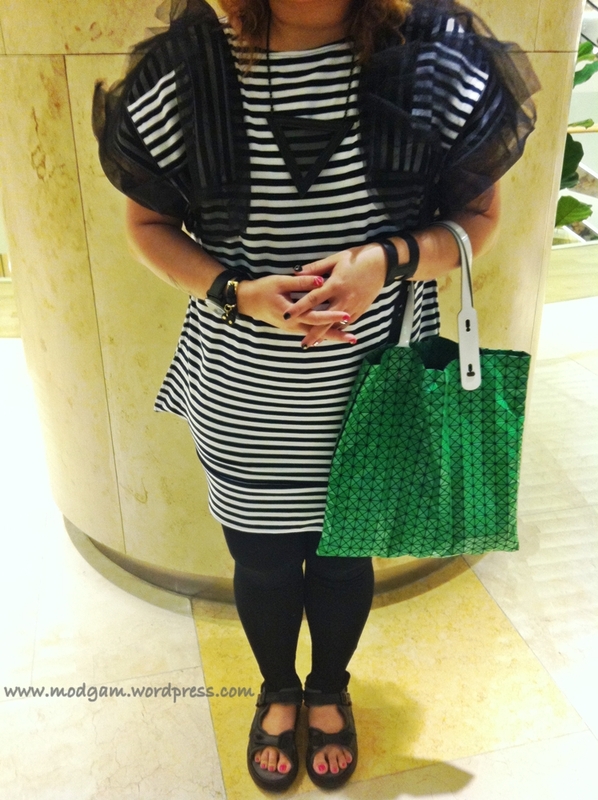 Meanwhile, today’s outfit is stripy with mesh on both sides of shoulder. 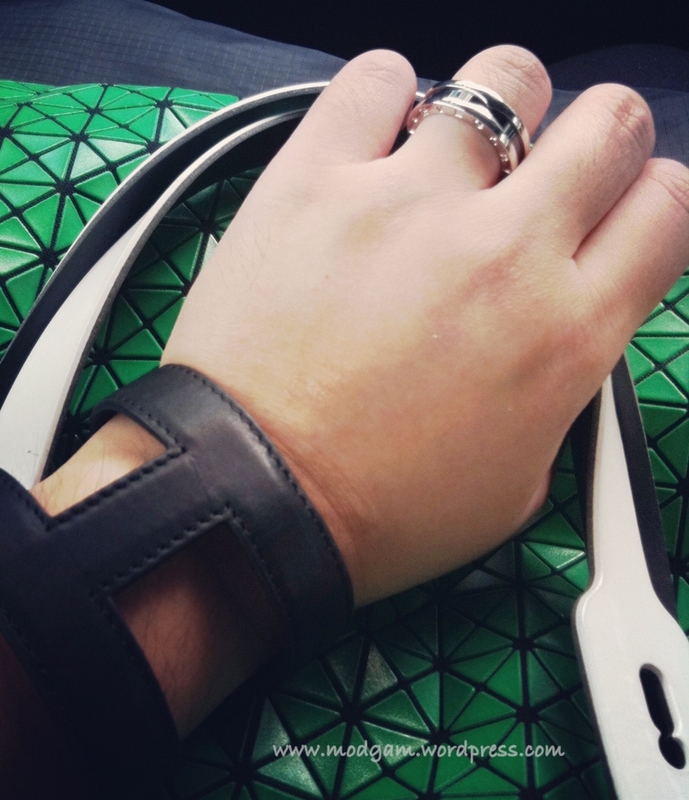 I wanted to use a different bag but I always end up choosing the Issey Miyake BaoBao instead. 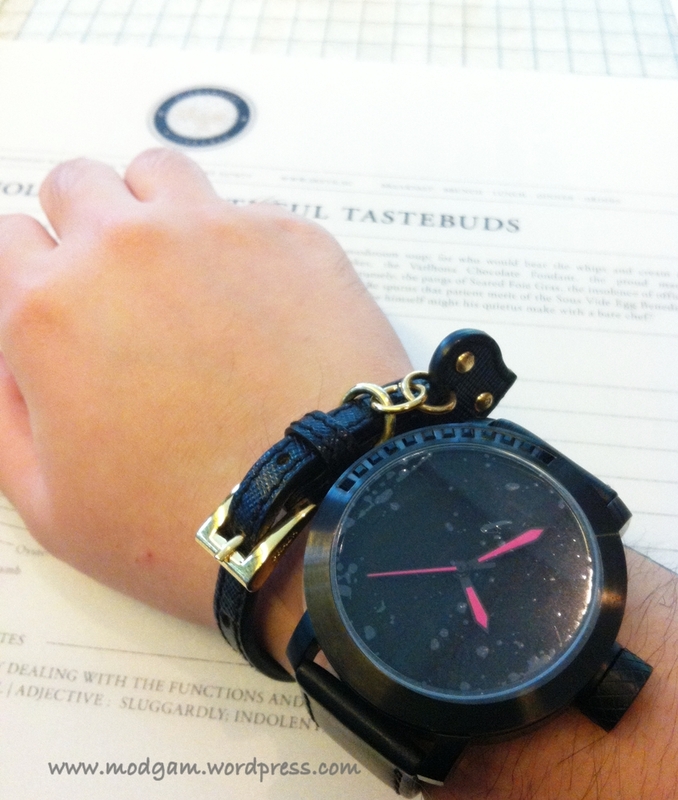 My latest collection will be updated here soon for I’ve just received news that its here in Singapore! Woots!